We’re very excited to announce we’ve launched our Play It Forward Merchandise Store. We’ve recently added some new T-Shirt additions and the last of the traditional play it forward items! Thanks for your amazing support on the road! It truly means so much!! Hope you are enjoying your keepsakes out there. SOOOO excited to announce our big Play It Forward $10,000 drawn leader from William McDonald Middle School in Yellowknife, grade 8 student, Miss Lauren Seabrook! We are so proud of Lauren’s incredible efforts- what an ambassador of what play it forward means. The work that she does in her community and beyond is inspiring and we hope this serves as a boost to help further her dreams to reach out to people and make a difference. And we are SO grateful to Canadian North for bringing Lauren and her mom to our wrap up show this past weekend. What an awesome surprise and special addition to the evening. Lauren has decided to allocate $5,000 of the donation between the North West Territories’ SPCA, Sleeping Children Around the World and the Ronald McDonald House of Northern Alberta. The remaining $5,000 will go towards bringing in inspirational Me To We speaker Spencer West to Ecole William McDonald Middle School. She is also looking to set up a Seabrook Play It Forward award, which would encompass Play it Forward’s inspirational teachings and be presented annually to a student who demonstrates great leadership. Sending out a huge congratulations to ALL of the Play it Forward leaders that we met. You guys inspire me so much and keep up the great work. Big Country’s Play it Forward Wrap-Up Contest! 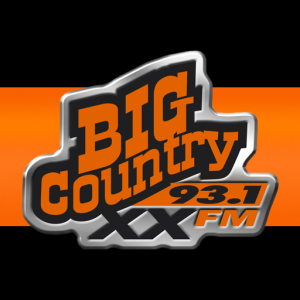 To all of the GP and surrounding area students, make sure to participate in Big Country 93.1 FM Grande Prairie‘s Play it Forward Contest!! All you need to do is send an email before December 8th, telling them how you play it forward in the community, and you could be entered to win the best seats in the house at the December 14th Wrap Up Contest, joining us on stage on a nice comfy couch for the whole show! We can’t wait to see you at the event!! Thanks to Big Country for all of your amazing support! Tickets still available at the Crystal Centre! The Contest: From November 20th to December 8th we want your kids to tell Big Country how they’ve played it forward!! Plus! ONE LUCKY WINNER will receive the BEST SEATS IN THE HOUSE! These seats are right UP ONSTAGE! 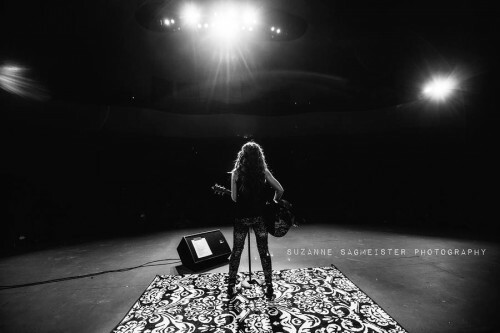 You and 3 friends (or family members) will be able to sit up on stage on a nice Big Comfy Couch and watch Tenille and her Band during the concert! We’ll announce one lucky winner December 9th to 12th on the Breakfast show and the GRAND PRIZE WINNER on Friday December 13th! 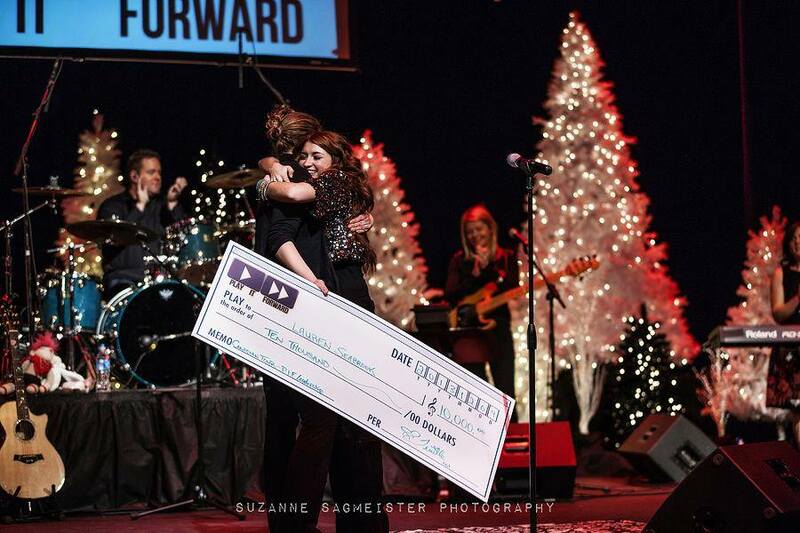 PLAY IT FORWARD WRAP-UP CONCERT! Tenille will end off an extremely adventurous and inspiring year on the Play It Forward School Tour with a Wrap-Up Concert happening on Saturday December 14th in Grande Prairie at the Douglas J. Cardinal Theatre. Tenille is very much looking forward to celebrating the team and sponsors who have made this dream possible and to announce the $10,000 Grande Prize Leader! Tickets going on sale on November 1st! 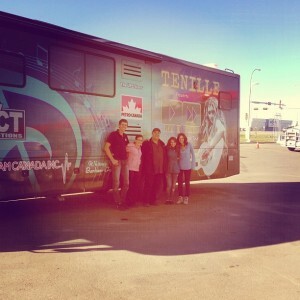 Tenille & Tim Horton Children’s Foundation Team Up To Inspire With New Music Video! “Well today is the day. It is my absolute honour to present to you the #DareToBe official THCF Music Video! Watching this moves me to a place of passionate tears. I’m so grateful to share a piece of the message that the foundation gives to these incredible kids, and that these campers take home to go out into the world with. I’m glad I got to spend the full 10 day session at the Camp in Perry Sound while filming; I’m so proud of these kids and blessed to have got to know them and a bit of their stories. They truly are little heroes with huge hearts and potential. Watching them be themselves at camp, and dare to be original and remarkable, makes me believe in change for the better in a world that doesn’t always notice that. Tim Horton Children’s Foundation ambassador and Canadian country music artist Tenille has released a new music video entitled Dare to Be, which is available for purchase from iTunes. All proceeds from Dare To Be will be donated to the Tim Horton Children’s Foundation to help enrich the lives of deserving children. 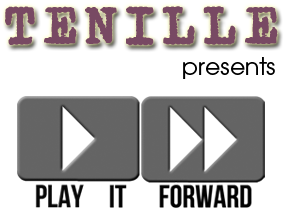 Visit iTunes today and purchase Tenille’s hit single Dare To Be. Help the Tim Horton Children’s Foundation make a true difference in the lives of deserving children. PLAY IT FORWARD SCHOOL TOUR HITS THE ROAD FOR LAST LEG! Wahoooo Play It Forward hits the road again for the last leg of the School Tour. SO PUMPED to be back! Thanks to the amazing Paul at Petro-Canada in Grande Prairie, Alberta for fueling us up and sending us on our way. Thank you guys for staying posted on our journey!!! #piftour. 1st round of dates now available here. First stop for the Play It Forward Tour is off to the Territories thanks to Canadian North!!! This is such a cool moment, knowing we are getting to take this message to all of Canada after hoping to reach that goal in the first place, but not being able to due to flight expenses. It isn’t everyday, that you find a company whole believes whole heartedly in something to step up and play it forward without hesitation. Thank you Steve and Tina for bringing this concept to Canadian North and jumping in with passion and enthusiasm. We are honoured to be visiting your the communities you provide opportunities in and are so grateful for the experience of a lifetime. Here we go!!! 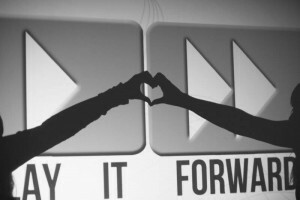 The first official day of the last Play it Forward tour leg!! PLAY IT FORWARD FALL UPDATE! Thank you to everyone who has supported this amazing experience so far. We’ll be updating you soon with where you can expect the Play It Forward tour to visit this fall. Dates will be posted soon, along with other exciting news. We hope everyone is having an amazing summer! CANADIAN SPRING TOUR WRAP UP! Hard to believe it has already been more than a week since being out on the road. What a fuelling, life-shaping, perspective-offering journey it was….. 41 schools, 13 weeks, and over 10,000 students reached from British Columbia to Ontario…. Thanks to all who were a part of making the vision across Canada with these amazing kids a reality! -The Team. Thank you Bethanie, Katie, Jason, and Katie for the passion that you have on the road. Thanks for giving your heart everyday to all those students and helping light their sparks. I am proud and grateful to call you road family! Thank you Kathryn, Marcie, Suzanne, Jackie, Steve, Aunty Sue, and my parents for your dedication to making the tour and all of its foundation elements run with true play it forward passion. It is so appreciated. -The Believers. Thanks to our incredible sponsors for jumping on board and playing it forward to us so we can be out on the road playing it forward to students across Canada! Caron Measurement and Controls, Low Impact, Tim Hortons, Petro Canada, The Community Foundation of Northwestern Alberta, The UPS Store (GP), T-Ram, all of the Alberta Boostrs, Hanson Productions and Entertainment, and Affordable Elegance. Thank you to all of my family who have allowed me to spread my wings on this and helped me fly with so much love and support. Mom, thanks for coming to visit on the road. It meant so much having you there! And Pepere, thanks for coming on parts of the tour with us. Such a gift to have you be a part of the play it forward spirit. -The Welcomers. Thanks to all the friends and family members who hosted us for showers, meals, visits or house concerts. It’s amazing to feel a sense of home on the road- thanks for bringing it to us! -The teachers. Thank you for the passion you have for your kids. Thanks for being there for them no matter where they come from or what challenges they go through. -The students. Thanks for inspiring us and giving us purpose behind this project. Thank you for believing in your potential in the world and being inspiring leaders with your actions. Thanks for all the goosebumps and tears you bring us- we are honoured to hear your stories and watch you play it forward. And thanks to all who followed the adventures on social media! I am so grateful to have you all be a part of it! We can’t wait to connect with everyone again in the fall! Happy Summer! Keep on playing it forward! TENILLE & ALBERTA BOOSTR ANNOUNCE SUCCESSFUL CAMPAIGN! Wow…. thank you SO much to all of the Alberta Boostr‘s for your incredible support to the Play It Forward Tour. It is so amazingly appreciated – your contribution of $9,555 has fueled the tour to be out on the road lighting up the sparks of kids all across Canada. Thank you for being a part of the impact, the passion, and the belief to make this all possible. 11 weeks have flown by and we are so grateful! Have an amazing summer and we look forward to keeping you posted on the next leg in the fall!